Teddy Ruxpin Just $45! Down From $145! PLUS FREE Shipping! You are here: Home / Great Deals / Amazon Deals / Teddy Ruxpin Just $45! Down From $145! PLUS FREE Shipping! Check out this adorable Teddy Ruxpin which is currently on sale at Amazon for just $45 down from $145.19 PLUS FREE shipping! 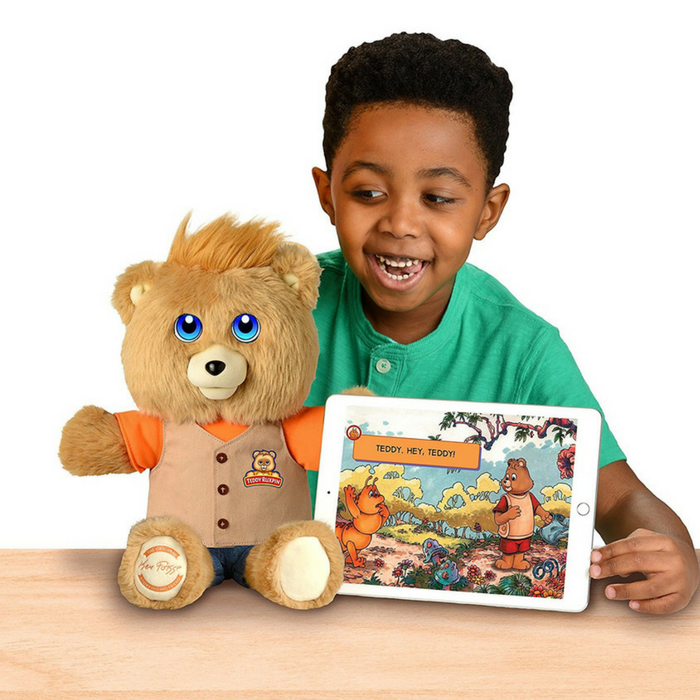 Teddy Ruxpin is more lovable than ever before, and brings magic and friendship to story time with interactive technologies and features! He enjoys telling tales and singing songs with friends ages 2+, making him the perfect companion. Teddy Ruxpin is embedded with innovative technologies which include color, electronic LCD eyes that react in fun and surprising ways as he tells tales and sings songs. There are more than 40 full-color eye expressions and animations. These expressions sync to Teddy Ruxpin’s emotional state as he takes you on exciting storytelling adventures. Cool! Includes color LCD eyes with over 40 animations! Eye mask included in pocket of Teddy’s vest. Features an animatronic mouth that syncs to his speech!